Linda's Angels: Rent Or Purchase College Books - Which Is Best???? 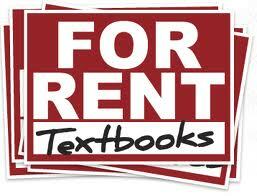 Rent Or Purchase College Books - Which Is Best???? Of the many tough decisions students have to make - one of the toughest is dealing with finances! The many hidden costs that crop up can be phenomenal, fifty here, a hundred there, etc. can add up to be extremely costly. Considering that many students need to finance part of their education with student loans, it is best to carefully monitor those costs and minimize them as much as possible. When I was in college back many years ago it was common practice to go to the University Bookstore and purchase your textbooks brand new. The average textbook was selling for anywhere from upper fifty dollar range upwards to around $110-120.00 dollars each. Depending on your class load, it was a large cost to absorb, especially tough without financial aid. Today's student has a couple more options - you can purchase "brand new" at a high cost or "used" at a lessor cost, subject to availability. A great option now on the table is "renting" your textbooks. This is probably the most cost effective option now available! 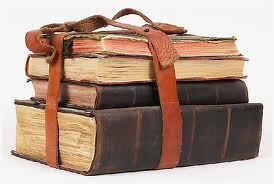 You just rent your books and when finished return them. The savings is considerable up to 90% over purchasing check out this site: www.CampusBookRentals.com or you can call them toll free at 855-200-0021. Their hours are Mon - Fri 8 AM - 8 PM MST and shipping is free BOTH WAYS!! Another good reason to rent your books is that your don't have to deal with trying to sell them used or worst yet, storing them for years never referring to them and fast forward years later throwing them away or try to sell them for 50 cents at a yard or garage sale! I wish this option was available to me when I was in College. Make the wise choice either call them toll free at 855-200-0021 or visit their website at: www.CampusBookRentals.com and enjoy the savings and convenience.